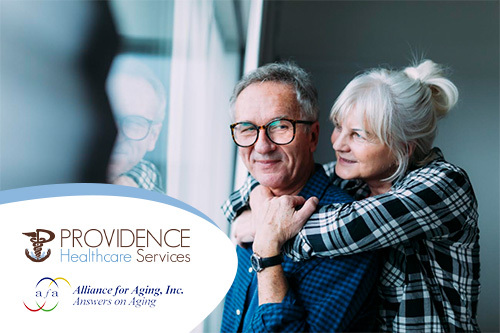 Providence Healthcare Services has joined the Alliance for Aging, Inc. in bringing the Chronic Disease Self-Management Program (CDSMP) to our community. CDSMP is an evidence-based self-Management workshop originally developed at Stanford University Education Research Center as a collaborative research project between Stanford and the Northern California Kaiser Permanente Medical Care Program. In a five-year research project, the CDSMP was evaluated in a randomized study involving more than 1000 subjects. This study found that people who took the program, when compared to people who did not, improved their healthful behaviors and their health status and decreased their days in the hospital. Studies by others had similar results. the ever-changing challenges of living with chronic illness. Please contact the Alliance for Aging, Inc. (305.670.6500) for a list of upcoming workshops or if you would like to host a workshop at your facility. For more information on the Chronic Disease Self-Management Program (CDSMP) please call 305.220.1088 or visit www.providencehhs.com.